Tooth whitening is the most-requested cosmetic dentistry procedure. It’s a quick and simple treatment that can deliver a major boost to your self-confidence with minimal hassle. As the popularity of tooth whitening grows, so does the selection of over-the-counter products claiming to deliver brighter teeth at a lower cost. But before you toss that box of whitening trays in your cart, consider what it could mean for your dental health. The American Dental Association recommends that even over-the-counter whitening kits be used under the supervision of a dental professional. Without professional help, tooth whitening can actually create dental problems and require more invasive procedures, such as root canals, to fix the damage. Bleaching at home can damage your mouth and teeth. Before whitening your teeth at home, remember that the trays or strips are not customized for your teeth. There will be areas where the bleaching solution is in contact with your gums or lips, which can cause chemical burns, sores, blisters, swelling, and stomach upset. You won’t know if whitening is safe for you. Your dentist will always check to see if your teeth have problems that need to be fixed before you whiten. Even a small cavity can lead to major problems--the bleach can enter the inside of the tooth and damage the tissues and nerves, leading to extreme sensitivity or infection. It's easy to bleach too often. Users of home whitening kits frequently report using them more often than is recommended, not realizing that their ideal result is unrealistic. This wears down the entire outer surface of the enamel, increasing the risk of sensitivity and decay. It can also give your teeth a translucent bluish appearance. Whether you're considering bleaching your teeth at home or in a dentist's office, it's always best to consult with your dentist first to ensure your safety. 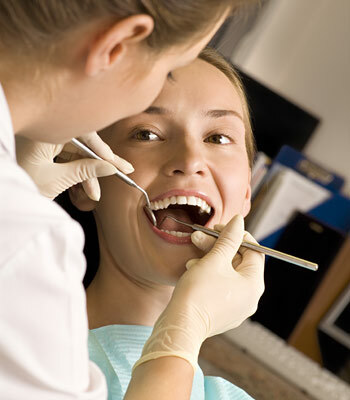 Here are the top benefits of having the procedure performed by a dental professional. Your teeth and mouth are protected. When you visit your dentist, your teeth are first examined to make sure there are no conditions that would make bleaching dangerous. Then, your lips and gums are covered with a protective barrier to ensure that the solution doesn’t touch anything besides your tooth enamel. Get whiter teeth with less discomfort. Your dentist chooses a bleaching solution that will produce fast, even results with minimal tooth sensitivity. Sometimes a special curing light is used to speed or enhance your results. Enjoy safe tooth whitening that delivers the results you want. An in-office whitening treatment is designed to be fast, effective, and safe. Your dentist can help you maintain your ideal smile without putting your teeth at risk. When you're dreaming of whiter teeth, bleaching can be a simple way to achieve it--but it isn't without risk. Cary Implant and General Dentistry provides safe tooth whitening for patients seeking to brighten their smile. Interested in Teeth Whitening from Cary Implant and General Dentistry? Call our office in Cary, NC at (919) 481-0330 to schedule a consultation.